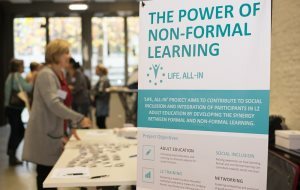 'The Power of Non-formal Learning' final conference of 'Life, All-In' project took place at the Atlas Integration Center in Antwerp, on the 17th of November 2016, hosted by lead partner GO! CVO Antwerpen. 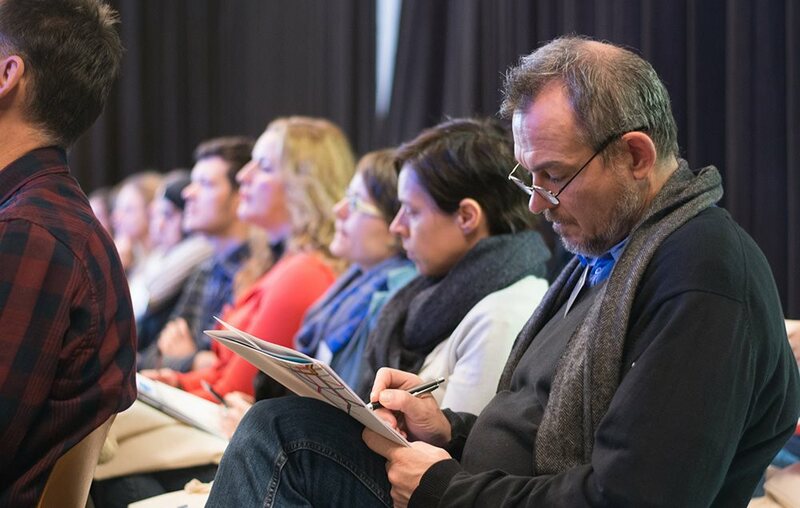 Over 90 participants from Belgium, Finland, Italy, Macedonia, Norway and other European countries, were discussing on The Power of Non-formal Learning, which was the theme of the conference. 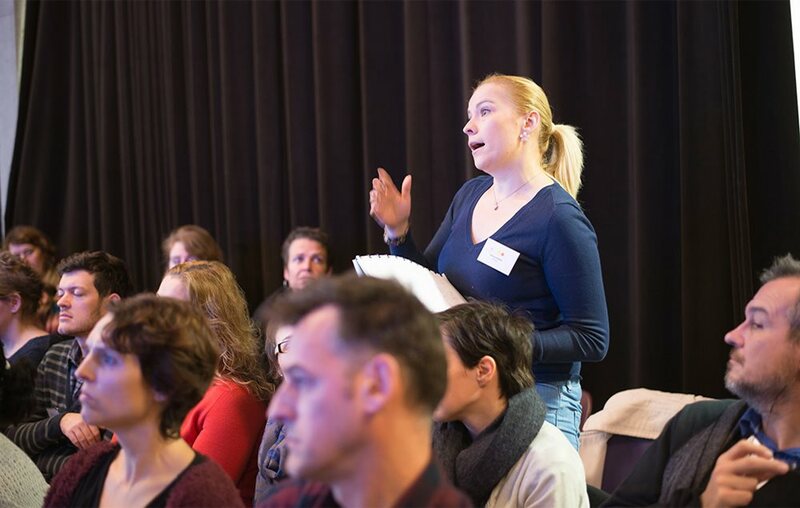 Participants included adult education providers’ representatives, L2-teachers, L2-policy makers and organisations that work with migrant students. 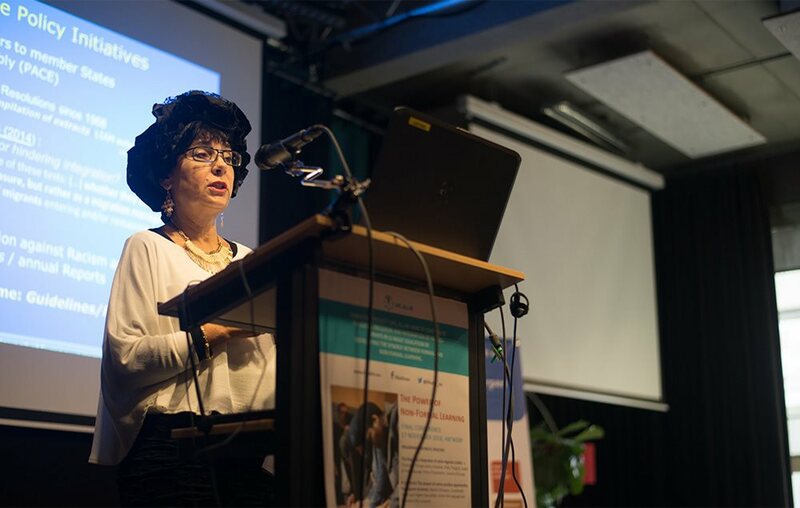 During the conference, the main project output 'Life, All-In' project toolkit for blending formal, non-formal and informal learning in L2, to enhance social inclusion of adult learners, including adult migrants, was officially launched, too. The detailed conference agenda can be found here. 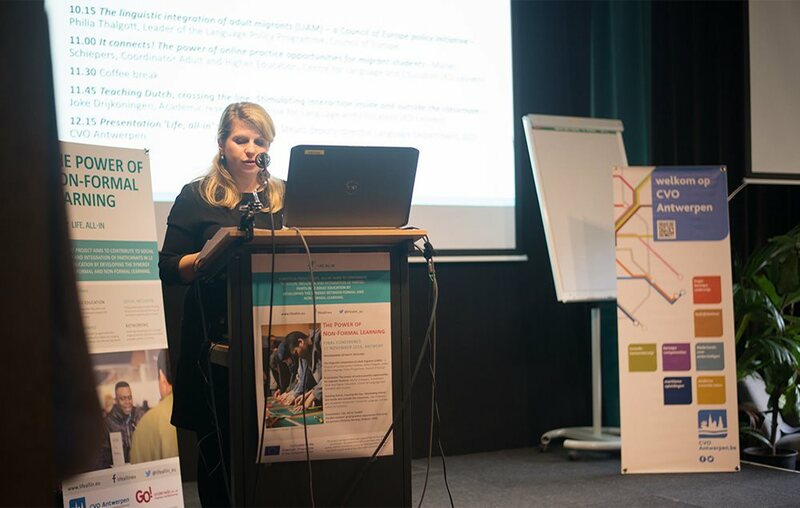 Project manager Sylvana Vanaert’s opening speech was followed by the first keynote speaker, Philia Thalgott, Leader of the Language Policy Programme, Council of Europe, who discussed the Linguistic Integration of Adult Migrants (LIAM) – a Council of Europe policy initiative. Parts of the presentation on the role of L2-teachers and available tools and other achievements to support the process of linguistic integration of adult migrants, were transmitted live via ‘Life, All-In’ social media. 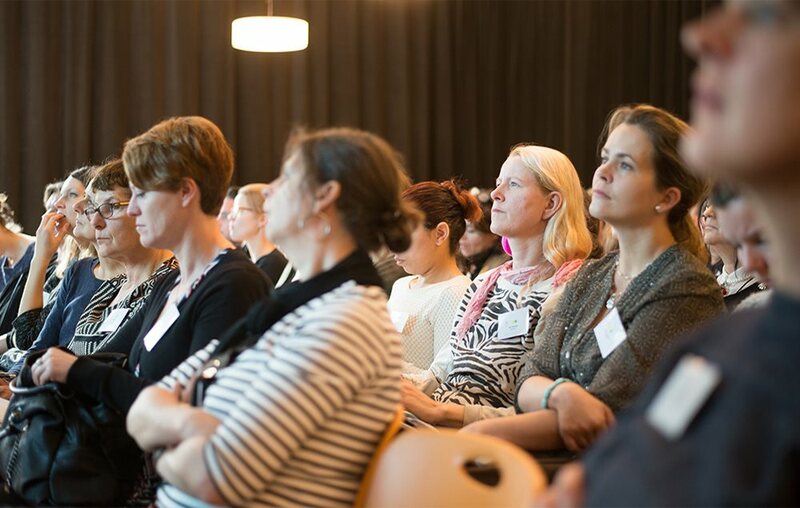 The audience was introduced to multiple practical examples and good practices on non-formal L2 learning through the following keynote speeches by the KU Leuven representatives from the university Centre for Language and Education – Coordinator Adult and Higher Education, Mariet Schiepers, on ‘It connects! The power of online practice opportunities for migrant students’ and Academic researcher Joke Drijkoningen on ‘Teaching Dutch, crossing the line. Stimulating interaction inside and outside the classroom’. 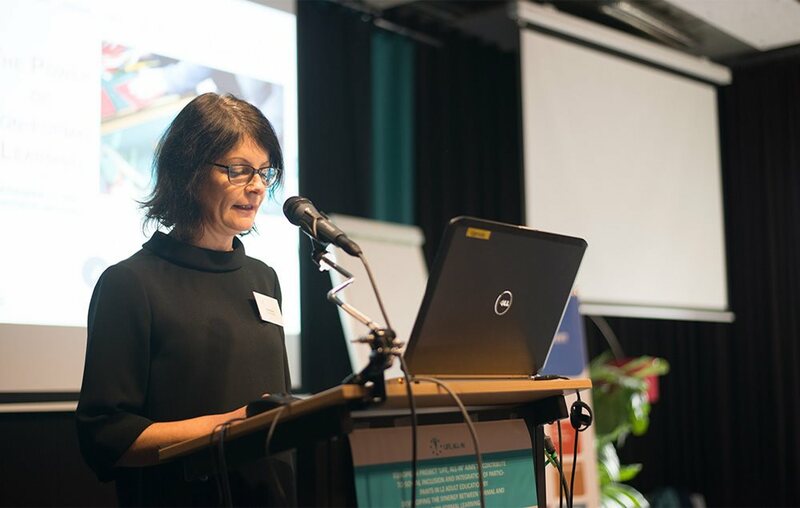 One of the most important outputs of the ‘Life, All-In’ project, the toolkit, was presented during the conference by Birgit Steurs, Deputy-Director of the Language department at GO! CVO Antwerpen. 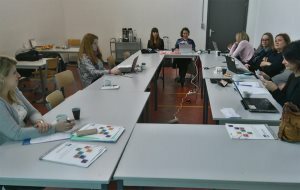 The conference participants learned more about the methodology behind building the toolkit content, examples of good practices on blending formal and non-formal L2 learning piloted by the project partners, using a scanning tool to both identify and assess possibilities for blended learning and L2 outside the classroom to enhance social inclusion of adult learners, including adult migrants. Complementing the toolkit official launch were the four parallel sessions on good practice experiences from project partners Axxell from Finland, C.P.I.A. 6 from Italy, Oslo VO Skullerud from Norway and the host and lead partner GO! CVO Antwerpen from Belgium. 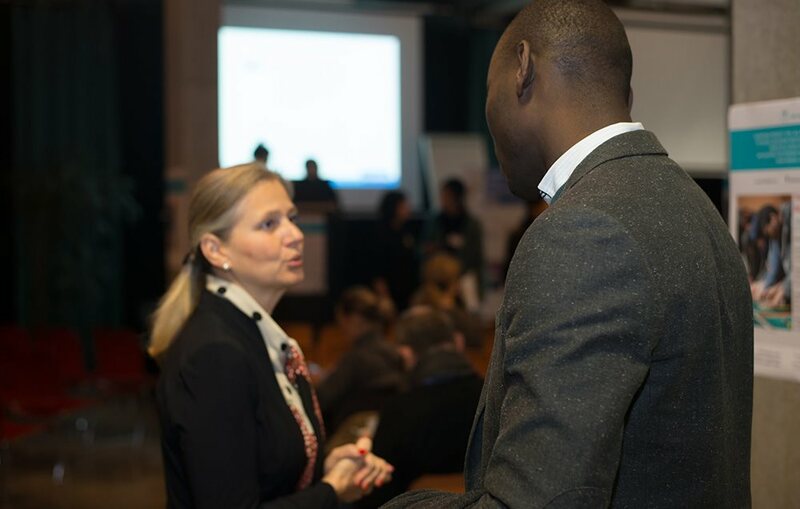 During the workshops, the moderators and the participants including L2-teachers, L2-policy makers and adult education providers' representatives were discussing and networking through the exchange of good European practices of non-formal learning in L2 and adult education. 'Cooperating with external parties offers an added value for students and teachers: concrete examples of collaborations in GO! CVO Antwerpen creating learning opportunities outside the classroom'. In conclusion of the final conference, the closing words on behalf of Dr. Koen DePryck, Department of Educational Sciences, Vrije Universiteit Brussel were presented by Ann Cox from the Head projects office of lead partner GO! CVO Antwerpen. Hereby an excerpt from Dr. Koen DePryck’s exceptional grasp of the true values behind the ‘Life, All-In’ project: " 'Life, All-In’ is not just a reductionist selection of learning outcomes prescribed and molded into a taxonomy by the curriculum. ‘Life, All-In’ was not just about bridging formal and non-formal learning. ‘Life, All-In’ was not about teaching strategies and was not even about how life is larger than just formal education, however true that certainly is. ‘Life, All-In' was, and still is, also about inclusion. Life, All In. – Life is there for all of us to enjoy. Life, All aboard... ‘Life, All-In’ really is a project about inclusive democracy, a project about active citizenship... ‘Life, All-In’ until it is about what it has been about before it even started: empowering learning to be the facilitator of ‘all in’, the facilitator of an ‘all aboard society’. " 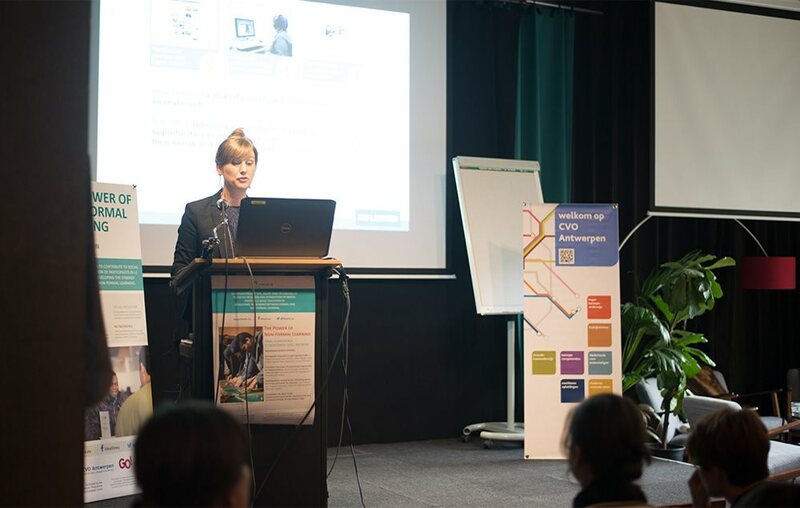 Finally, after the programme of the conference was officially closed by project manager Sylvana Vanaert from GO! CVO Antwerpen, the project team congratulated her on the successful completion of the project and inspiring leadership with a lovely bouquet as a token of appreciation.